How true that is?!? Have you ever had to sit through a class, a meeting or even a sermon and walked out of it with a negative opinion of the speaker and/or the message? Countless times for me. Most of my college lectures, some of my work meetings and sadly a few of the church services have left me with a bitter taste in my mouth. I went to school for Journalism (as I love to write), but I actually had a professor tell us in our Ethics class (Journalism ethics- as they have different standards than the real world) that if we were walking down the street and saw a house on fire, with a person trapped inside calling for help, we were to stop and get the ‘story’ (film it, interview bystanders and victims, etc.) rather than help save the life of that person. After he stated that ‘fact’ I sat there wondering how sad it was that this was considered ‘ethical’ in a journalistic world. I walked out of that class mad at the professor, disappointed with my colleagues that they seemed to agree, and irritated with myself for even being there. It was that day that I realized Journalism was not for me. I can tell you that I don’t think the professor is a bad person. He was making a point that we were to report the story- not become part of the story. But that’s certainly not what I walked out of there with. Many Christians lack the same presentation skills. To our credit, we want others to know about God. To our detriment, we don’t teach Him well. We talk about His Laws, His Judgment and sometimes His Love. We stand on our soap boxes and talk down about ‘hot topics’ in politics and how anyone that believes or participates (aka sins) that way is wrong and going to hell. We spout off His commandments (Exodus 20:2-17), reiterate the stories of Old. Rebuke their ways that are wrong… (I won’t even point out that we do plenty of wrong things, too- that’s not the point of this message). But what about the New Testament? How about we start with telling them about how much He loves them (John 13:34-35, Romans 5:8); He forgives them (Matthew 6:14-15, Matthew 11:28, 1 john 1:9); He wants them to spend eternity with Him in Heaven (John 14:2, Philippians 3:20-21)… Get them excited for all that He Is (Revelation 1:8), then when they want to learn more, lovingly explain to them the sacrifices they have to make in this world (Matthew 10:39, John 14:6). My grandma was like that. She had a heart for Jesus. She wanted everyone to know about Him. And she wanted everyone in Heaven with Him. But she often started by telling other sinners what they could or couldn’t do to get to Heaven. She blatantly told them they were going to hell for their sins if they didn’t get to know Jesus. Her mind and heart were right- but her presentation was off. For years she turned away her own son by speaking of God’s Judgment and Laws, and not reinforcing His Love. We do this, too. In jest one night, a friend of mine was rebuking her own son about lying. (I say in jest, because he was telling obvious lies to make us laugh- we knew this). And she spouted off ‘Thou Shalt Not Lie’… Without missing a beat he retorted with “Gheesh mom, read the newer stuff, it lightens up a bit.” We all laughed. But how true is that statement? Yes, the Old Testament is true, God does have Laws we are to follow, He does judge sin… but if we just follow the Old, then perhaps we should be Jewish, not Christian. The New Testament brought the Good News that despite our breaking His Laws and sinning, He sent His Son, Jesus Christ, to die for our sins (John 3:16). He forgives us when we accept Him into our life. He loves us (all of us- Jews and Gentiles alike) (Romans 10:12) regardless of what is in our past, and remarkably despite what our future brings (Romans 8:38-39. He Loves; that’s what we need to be presenting to people. 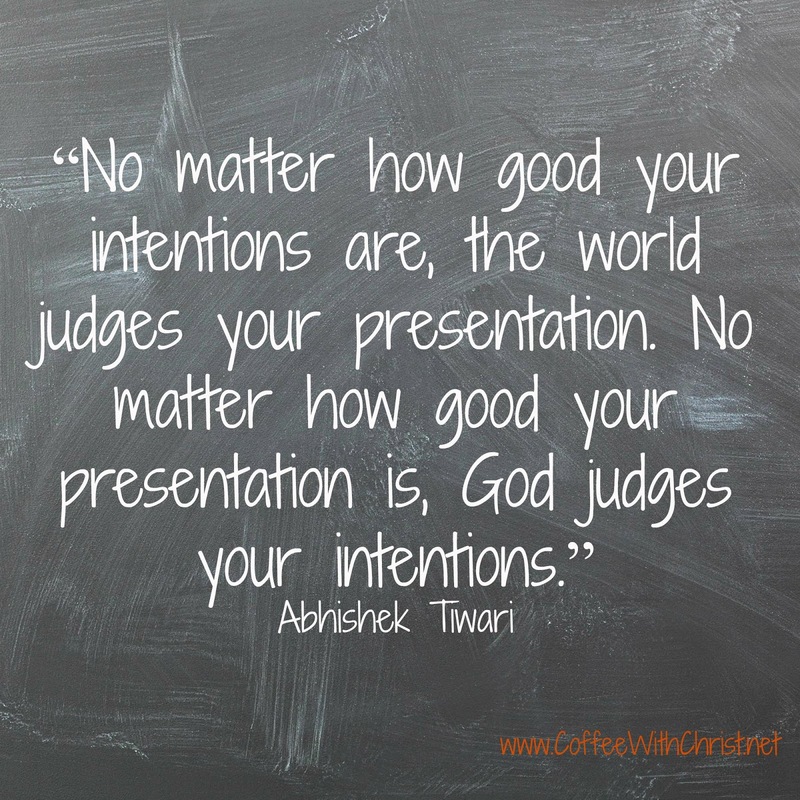 Start your presentation with all the Good that He Is. Get them excited for Him. Make them want Him in their lives. Once they’re really listening and open to Him, they’ll be open to what they have to do to have Him.